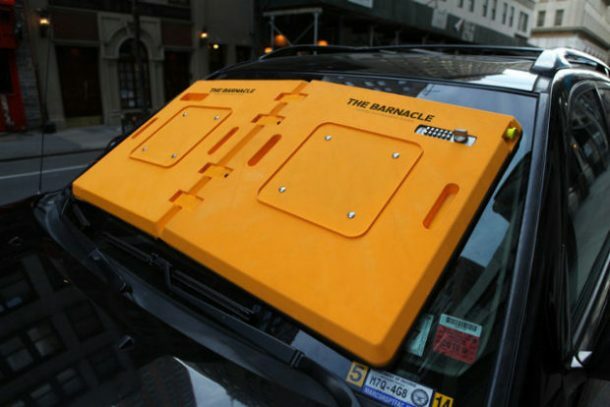 An interesting parking enforcement technique has surfaced, called the Barnacle. 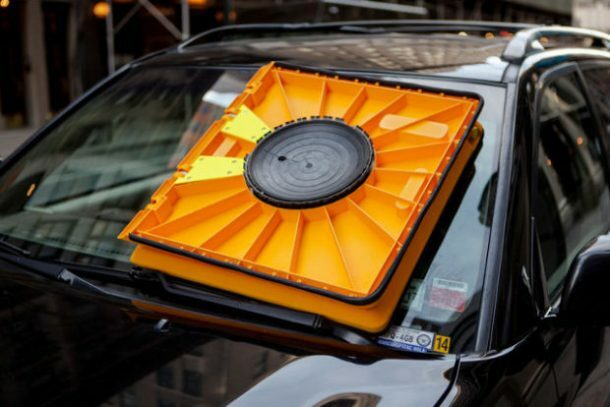 Police in New York has adopted this new alternative to tire boots to render parking offenders’ cars undrivable. Instead of latching onto the wheels, the Barnacle attaches to the windshield courtesy its two powerful suction cups. This interesting choice is opted to force the violators to pay up their tickets. They have the option of paying over the phone and getting the code to unlock the gadget themselves. It still remains to seen that how tough it would be for lock pickers to break the Barnacle. It has an inbuilt alarm that goes off when a person tries to tamper it. And once it is removed, it is required to be dropped off to a police station within 24 hours. 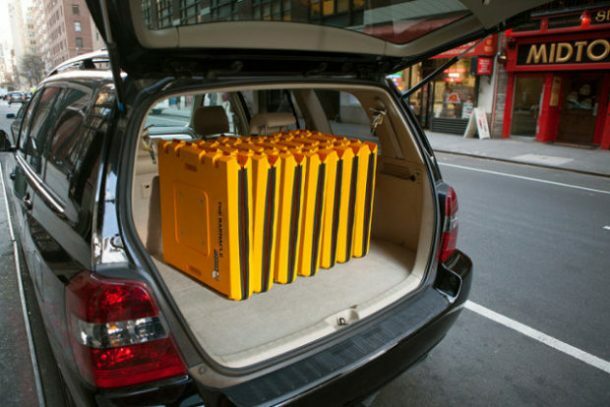 The bright yellow plastic device is 3 feet wide and 22 inches tall. Each suction cup provides 750 pounds of force, meaning it requires super strength to remove the device. Have you been a victim of the Barnacle? Let us know in the comments’ section below! A tiny drill bit just deep enough to penetrate the plastic shell into the suction cup…30 seconds and gone…..Toss it in a dumpster and swear you never saw it…..